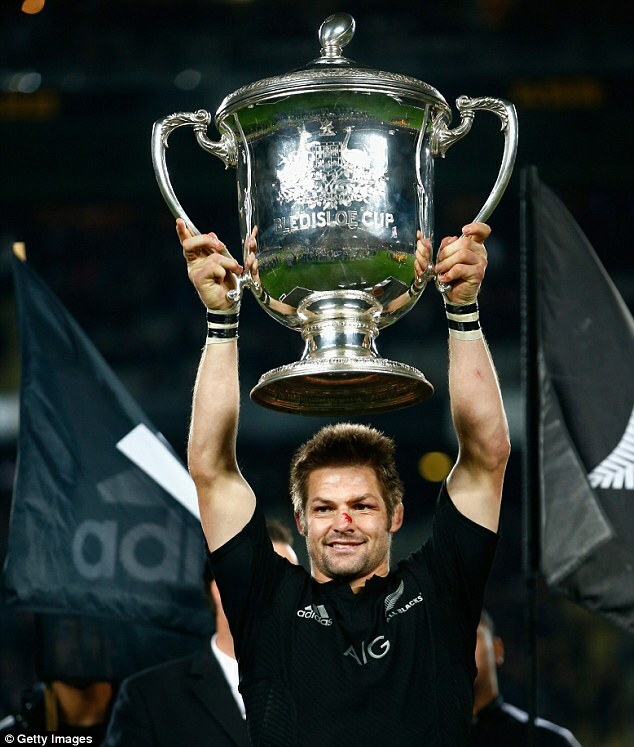 Richie McCaw played his 142nd Test match for NZ, leading the All Blacks to another resounding victory against Australia at Eden Park, bringing the Bledisloe cup back to NZ for another year. 48,000 people filled the stands to watch the game, and about 47,000 took part in booing a young man on the opposing team. Richie holds the cup high in victorious celebration. In the stands sat our auspicious leader (I refer to Mr Key our elected prime Minister, as opposed to our true leader, Richie) whose facial expression at the close of the match last night was not nearly as fake as it should have been at such an overwhelming victory. 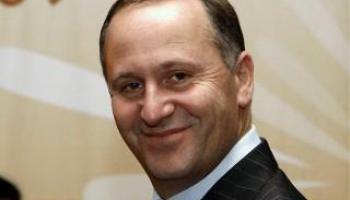 Even a ponytail bobbing tantalizingly close didn’t crack a grin from this “man of the people”. He looked decidedly distracted, and didn’t have his jolly “I like rugby” face on; not even when cameras focused in on him during the match. Hint: This is NOT what he looked like at the game. I am hoping the reason he looked glum and distracted at the game was not because of concern over his golf swing and instead had something to do with this. The protests held across the country yesterday were a triumph of organizational skill in this age of slactivism in which we live. Thousands marched, waved banners (peacefully and without incident) to challenge a decision our elected officials are making on our behalf. It isn’t the first time it has happened in recent years, but it is the first time I have seen a hint of bother about our concerns on our esteemed PMs face. Our news services (predictably) understated the size and serious nature of the protests almost without exception. I have seen no comment from any of our governing party’s spokespeople in response to the protests, which is also sadly predictable. Protestor numbers at yesterdays marches up and down the country were seemingly not significant…. We are far from the halcyon days of the seventies and eighties where marching the streets was a strong and clear message to the leadership of our country to think twice. 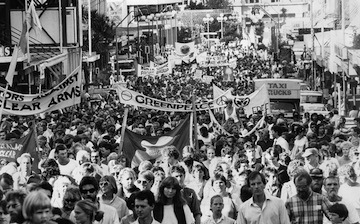 The 1983 Anti nuclear protest march on Auckland’s Queen Street of 25,000 women sparked a real and consistent change in our countries policy, followed up by a 20,000 strong 1985 march. I was present at the latter event, I believe, aged about nine, though my memories are hazy and it may have been a different occasion that I marched along with my parents in a practical lesson about the importance of making a stand. All of which is a really long winded way of leading into my actual point. If you stuck with me this long, it is probably because of the pictures. I’ll try to keep this part succinct! This is just here to keep you reading a bit longer. 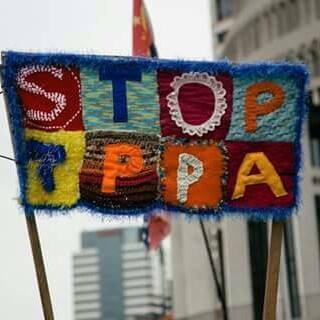 I did not attend the protests in my local area yesterday, despite my own strong feelings about the TPPA (this is not a post about the TPPA by the way. 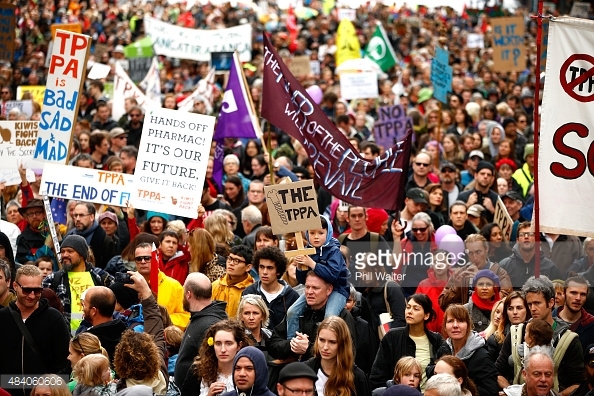 I do not think myself qualified or interesting enough to explain or justify the concerns so many average NZ voters hold about this This is a post about what (Sl)activism looks like in 2015). Why didn’t I go, I hear you cry, amazed at the audacity of me writing a blog about (sl)activism when I didn’t even act! The reason I didn’t go, was that I am completely disconnected from the lesson my parents tried to teach me thirty years ago. I was reasonably unconvinced that anyone would turn up, and totally certain that even if they did, our Government would take no heed. I was swayed by the argument of my 14 yr old that the internet is now the only way to send a message. I was scared to go alone to a political protest in a new city, in case I inadvertently outed myself as a dirty leftie liberal to the wrong people….. I was scared of what people might think of me. I know, Hermione. I know, and I am sorry. So. I am a slactivist. Here’s hoping next time I don’t wimp out…. Here’s a song to finish with.